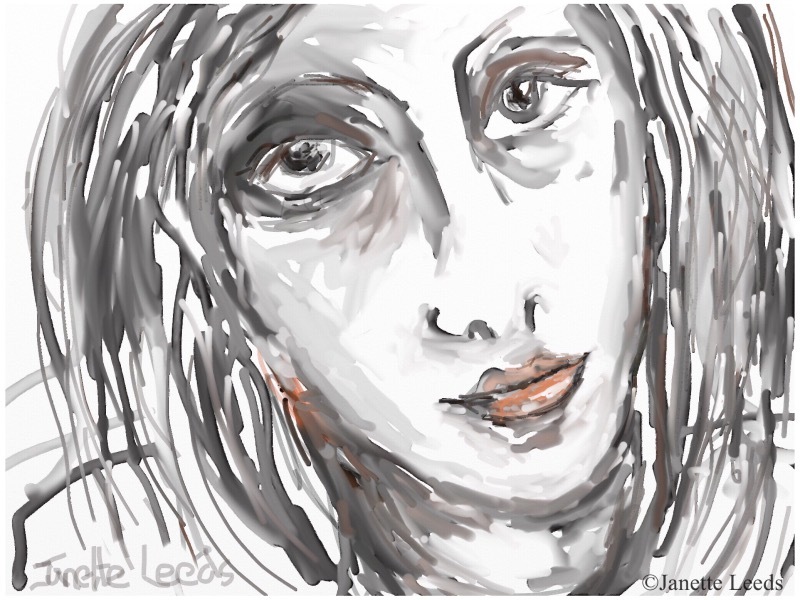 *I draw and paint with my finger on the iPad screen, rather than use a stylus. In a revisit to the “ArtRage” app, as seen below, I discovered there were more ways with watercolour, than I initially thought. Some art apps require too much fiddling around with dials and so forth, to discover what’s there. Though with a bit of playing about I often find there is much to value media wise, in many of them. And this does compensate for the time spent learning the ropes. With a bit of practice it becomes easier to just get on with drawing and painting. I don’t like to use the layer system that some have; I don’t see a need for it. Lovely watery greys, with just a little orange and brown. Some more greys. I’ll certainly be trying out more of this watercolour aspect of “ArtRage”. Another app, which has some interesting watercolour effects is “Auryn Ink”. The developers of this app seem dedicated to making it as much like using water and a brush, as is possible. They are still looking to make further refinements As yet, I’ve only dabbled in it a little. I love the element of surprise in using watercolour. Of not always knowing how the colour will travel, or what the colours will do. It’s surprising how well these art apps manage to emulate this aspect. In “Art Set Pro” to create a watercolour look, you can thin out the paint; and also wiping the “sponge” in the app over various media, gives some surprising watery effects. In recent months, I’ve begun to use more of my traditional media – it’s been awhile! I wrote them a poem, early on in my art app adventures, called ”Ode to My Pencils”. I’m thankful for all the options I have both in art app and traditional media. 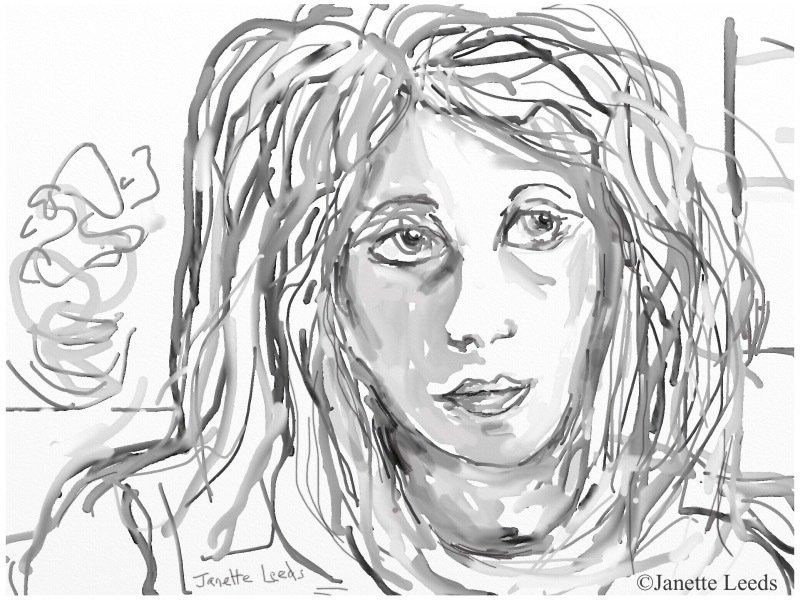 Hope you get to do some art this week, whether on iPad (android tablet), paper or canvas.